A pastor and his wife have pitched tent outside Steve Kanumba’s parent’s house claiming that their dead son has been haunting them and threatening to harm their child. Numbi Mwilambwe and his wife Ngoy Mfumuabana, both Congolese, claim that Kanumba, who was killed by Lulu Elizabeth in 2012, has been in Ngoy’s dreams always threatening to kill their son. The husband at first, however, kept brushing of the wife. “Whatever brought us to Dar es Salaam is our need to speak to Stephen’s mother just like he directed us in our dreams. 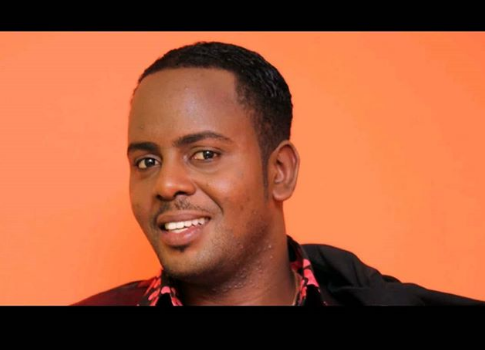 We do not have relatives here in Dar and we never met the actor when he was still alive,” Numbi narrated. The couple claim that their last born son, Felix, fell ill when they decided to go against the ghost’s wishes which were to name their son after him. “We took him to hospital but he did not get better. All this because we did not heed to what my wife was told in her dreams,” they said. The husband didn’t want to believe what his wife said, but after naming their last born after him, the diseases went away.